By late 2006 there were persistent rumours that Apple was in the process of launching a mobile phone. But the absurd lengths that Apple went to in order to keep it a secret meant that rivals had very little idea of what Cupertino was about to unleash in January 2017. Motorola probably thought that it had some sort of idea what Apple would be doing, as it had collaborated with them on the disastrous ROKR E1 back in 2005. 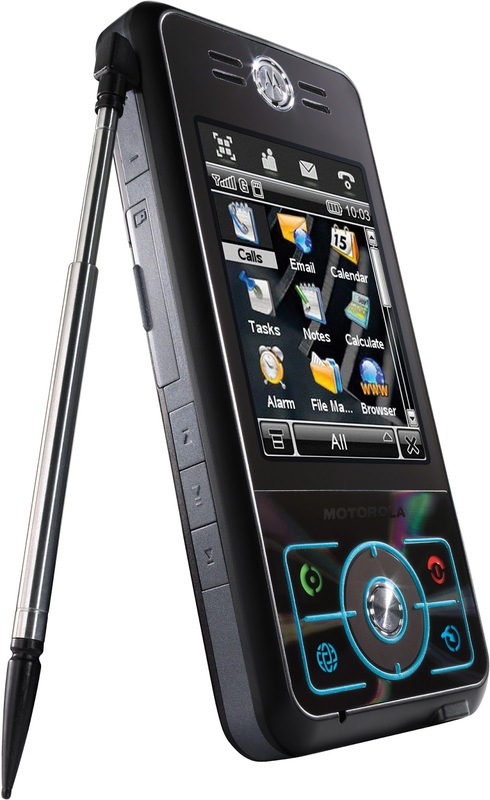 Perhaps based in part in what Apple had been doing with its fifth-generation iPod at the time, Moto came up with a music and video capable device called the Motorola ROKR E6 in December 2006, which coincidentally had a touchscreen and ran Linux too which made it a sort-of-smartphone. Hampered by a GSM-only connection and no WiFi, the ROKR E6 came tantalisingly close to what we might consider to be a modern smartphone... but missed. At roughly the same time, Samsung announced the F300 (“Ultra Music”) and F500 (“Ultra Video”) handsets. Unusually, these were two-sided phones with a small screen and number pad on one side and a larger screen and multimedia controls on the other. The F500 was a 3G device and had a hinged arrangement so you could use it as a tiny video player, the F300 was a GSM-only device without the hinge. Both were interesting a novel devices. Neither was particularly successful. The mistake that Motorola, Samsung and other manufacturers had made was to guess that Apple was working on an “iPod phone” when in fact they were working on an all-touch smartphone instead. In fact, Motorola in particular (with devices such as the A1000) and to a lesser extent Samsung (with the SGH-i700 and others) had experimented with devices much like the iPhone years before Apple, but consumer responses had been cool. Today the F300, F500 and ROKR E6 are quite rare devices, especially the Motorola. Typical prices seem to be around €70 or so going up to several hundred for good examples of the F300. And while they are certainly interesting devices, they were also dead-ends. Just a few weeks after Samsung and Motorola announced these, Apple revealed what it had really been working on..